The Phytology medicinal garden was established at Bethnal Green Nature Reserve in 2014. This urban physic garden provides free food and medicine for local and surrounding communities. 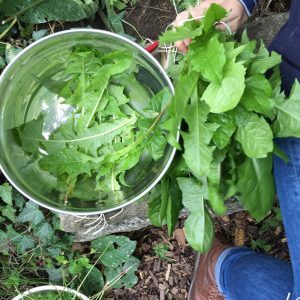 Generally regarded as weeds, the plants in the garden have been selected for their historic and ongoing use in phytotherapy*, traditional and conventional medicine. The garden has been sown with over thirty varieties of indigenous plants common to the streets of London and urban ecosystems across the country. Plants include: Yarrow, White Dead-Nettle, Common Mallow, Marsh Mallow, Ribwort Plantain, Dandelion, Red Clover, Feverfew, Chamomile, Cowslip, Comfrey and Common Nettle. Visitors are invited to harvest from the garden with the support and guidance of the Phytology team. The meadow grows in pollution-free soil to ensure our plants are safe from contamination and suitable for daily use. * Phytotherapy is the study of the use of extracts of natural origin as medicines or health-promoting agents. For more information on the medicinal meadow please contact – info@nomad.org.uk. Admission free.